I am writing this from Vietnam, where the tariffs imposed by the Trump administration on made-in-China goods mean new business opportunities. Many companies import products from China to the US and have seen their margin annihilated. A logical reaction is to look at other places to have their products manufactured. And Vietnam is often in the short list of alternatives. If you are in that case, what are the key questions you should ask yourself? If you buy bamboo decoration, you should already be in Vietnam. If you have developed a complex electro-mechanical product, the situation is different. Things are changing fast in Vietnam, but the supply chain is still behind that of China. Can the materials/components be sourced locally? Will they have to be sent from Guangdong province (or even further away in China)? Will you need more vertical integration (for example, inject your plastic parts yourself), as was common in China 20 years ago? If you can’t find a good supplier, your volumes are high, you want control over your supply chain, and vertical integration appears to be necessary, it makes sense to look into the option of setting up your own factory. Should you set up your own factory (and plan to be in Vietnam for the next 10+ years)? Should you go with a contract manufacturer (CM)? There are fine CMs, but maybe not in your vertical and/or for the quantities you purchase. To avoid import duties, a common strategy is to do only the final assembly in a country not subject to any trade barriers and to get all the fabrication (and sometimes sub-assemblies) made somewhere else. Does this make sense? And will it be sufficient to avoid tariffs? The Ho Chi Minh City area (South) has been booming and seems to be the main export manufacturing hub. The government is planning new and large industrial parks. It is by the sea. Hanoi (the capital city, in the North) also counts a large manufacturing area. It is closer to China. 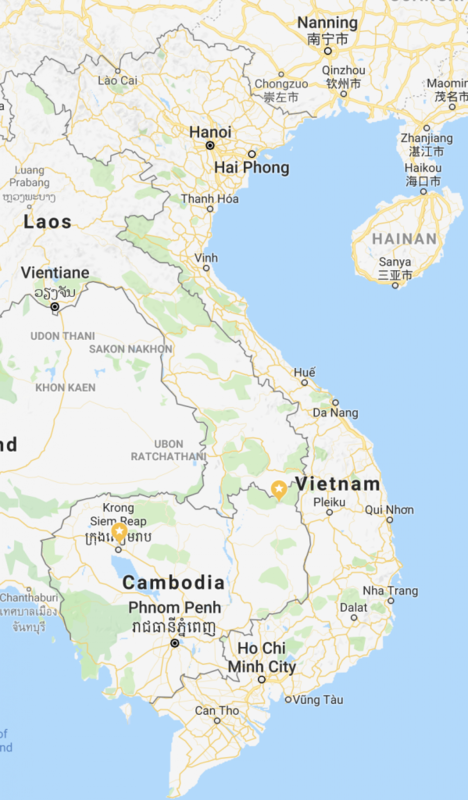 However, based on quotations from several freight forwarders, it appears that sending goods from Guangzhou to Hanoi is about the same price, and is only 2-3 days faster, than sending them to Ho Chi Minh City, so geographical proximity does not make a big difference. Da Nang (also along the coast, middle Vietnam) has received a lot of Chinese investment. The plan is to develop a hub for electronics. Yet, from our inspection data, the volumes of electronics coming out of Ho Chi Minh City seem to be much higher. This can be very sensitive. You might get into serious trouble if your current Chinese suppliers learn of your plans to drop them. You might have to double-source for a couple of months before you can single-source again in your country of choice… Think of it as developing a backup supplier and switching progressively to it. If your China production necessitates custom-made tooling or other equipment, how to transfer it? Do you have an agreement in place that allows you to get your tooling back when needed? 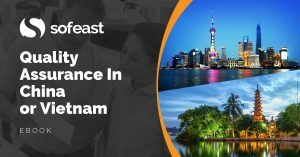 How to train the Vietnamese operators, inspectors, and engineers (if your production is out of the ordinary and requires specific training)? Did I forget something critically important? Any suggestions? I spoke to a Swedish forwarder in Ho Chi Minh City just two days ago about this. They have offices all over China and a few in Vietnam. So far the ratio is 99 to 1 – when comparing China and Vietnam. A lot can change in 5 – 10 years… but not in 3 months as some academic “experts” claim. In many product categories, this is correct, based on a pure cost comparison. Some companies have been sourcing out of Vietnam for more strategic motives (China + 1). And many US companies are now looking at Vietnam for cost and strategic reasons. To clarify, I should also mention that this might be a breaking point. I think it’s likely that China will lose its consumer product manufacturing dominance, but that it will take another 5 years before the shift is complete. China will still be important, but not as much as today. Yes, you are perfectly right! A lot of simple assembly might leave China, and together with it (and slowly) some of the component manufacturing. We see US companies looking into this quite seriously. It would take years, I agree. One of my clients tells me that productivity and quality rates are as much as 20-30% higher in China. It might make economic sense to stay in China and wait put the trade wars. That’s correct in many product verticals, and especially if one purchases finished products from local manufacturers. If you set up your own manufacturing operation in Vietnam and are not overly dependent on Chinese component suppliers (for example, you are vertically integrated), it might make sense economically to switch a portion of production to Vietnam. Yes, of course. It’s a bit sensitive, so I can’t write about it here.